Besides, Jet Airways has also reduced frequencies on seven other overseas routes, mostly from Delhi and Mumbai, according to airline sources. Malayala Manorama on Saturday reported that Jet Airways had halted domestic flights from the Kochi Airport in Kerala. 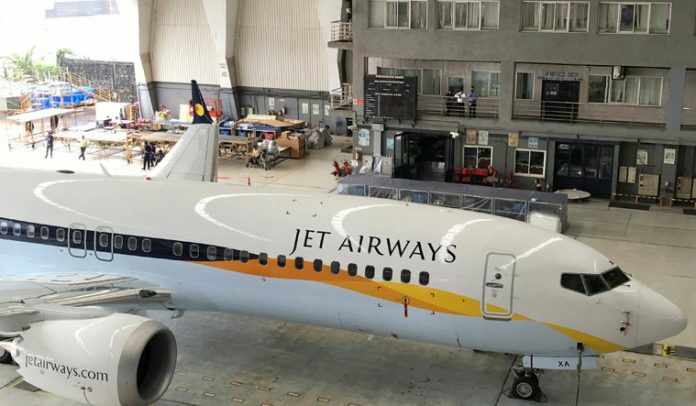 “An additional seven aircraft, including two planes of JetLite, have been grounded due to non-payment of amounts outstanding to lessors under their respective lease agreements,” Jet Airways said in a filing to the stock exchanges late on Friday. Jet Airways said that, as mentioned earlier, it is actively engaged with all its aircraft lessors and is regularly providing them with updates on the efforts taken to improve the liquidity. Jet Airways has already suspended services on the Mumbai-Manchester route. Gasping for funds and no bailout on the horizon, the Naresh Goyal-controlled airline has now reduced its operations to one-fourth from over 600 daily flights earlier, with just one-third of its 119 fleet being operational. Jet Airways has discontinued services from Delhi to Abu Dhabi (nine a week), Dammam (14 weekly), Dhaka (11), Hong Kong and Riyadh (seven each a week) up to April 30, said the airline source. Besides, Jet Airways has also suspended services on the Bangalore-Singapore route, where it flies twice daily, till April 30. The flights which have been suspended from Mumbai for this period include services to Abu Dhabi (12 weekly), Bahrain (4-7 weekly), and Dammam (14 weekly). These services will remain suspended till April 30, as per the source.